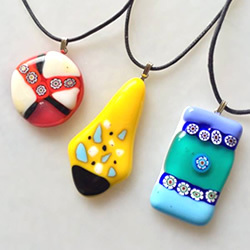 Course to make original accessories using colorful Venetian glass such as necklace and earrings. 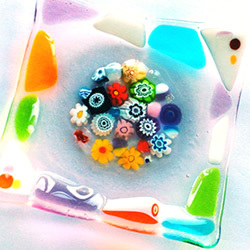 Course to make original trays only in the world using colorful Venetian glass. 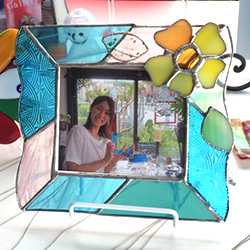 Course that makes stained glass style photograph stands by joining glass cutted into various shapes with a solder. 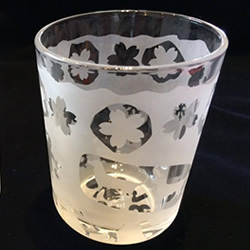 Course to make a original glass cup scraped carved with a picture or characters as you like by spraying sand particulates mineral . 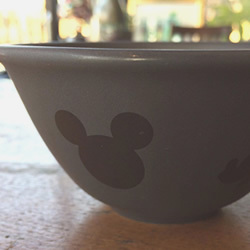 Course to make a original ceramic bowl scraped carved with a picture or characters as you like by spraying sand particulates mineral . 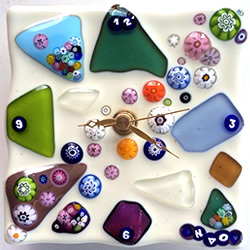 Course to make a original watch with fuse glass on top of a white ceramic plate.